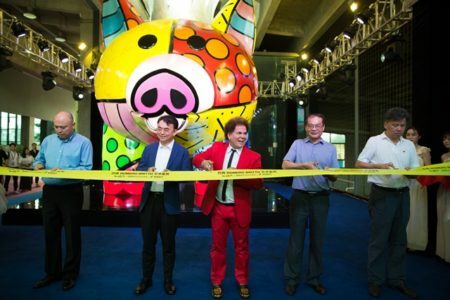 GIANT BRITTO PIG – LARGEST COMMISSIONED SCULPTURE IN ASIA!! Romero Britto attends the unveiling of his largest sculpture project in Asia to date. The one of a kind Royalty Pig was commissioned by giant software and game development company NetDragon Websoft for their headquarters in Fuzhou, China.